Umm, more please! 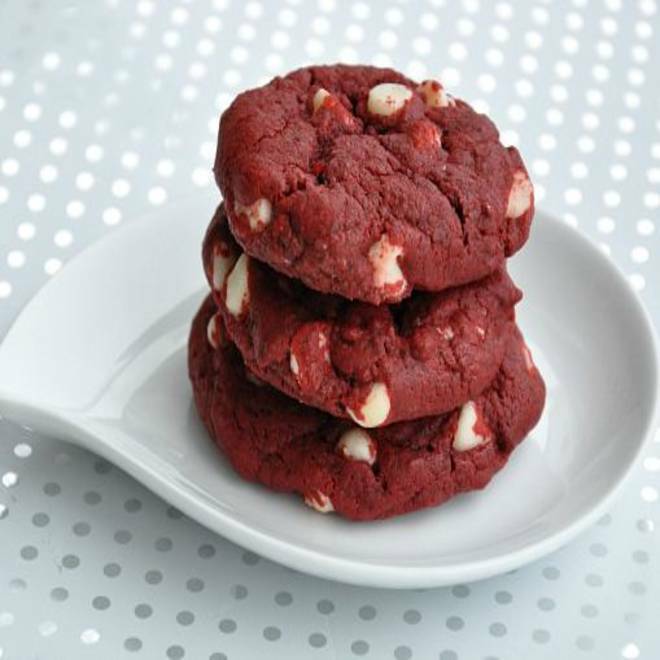 Red velvet white chocolate chip cookies -- and they're not so bad for you! Christmas is just around the corner. The only question is, what cookies should you have waiting for Santa? Step out of the old “chocolate chip or snickerdoodle” box and branch out with stuffed cookies, cinnamon roll cookies and even cookies with bacon. For those of you who are better at eating cookies than making them, these red velvet cookies from Peas and Crayons are for you! Not only are they incredibly tasty, but they are healthier (goodbye excess butter, hello applesauce), and so easy to make (boxed cake mix is the secret ingredient). Loaded with white chocolate chips, Jenn Laughlin swears that these moist, dense cookies are the easiest way to fool people into thinking that you are a master baker. As a bonus, they match Santa’s outfit. Reindeer do not live on sugar alone, and for pork fans, this bacon cookie from Eat, Drink, and Be Meiri is just the ticket. The bacon is first candied and then incorporated with flour, maple syrup and other ingredients. Then, the dollops of dough are rolled in sugar and baked. The cookies are “designed to taste sort of like breakfast, what with the whole maple syrup thing,” though this isn’t the kind of breakfast I ever got as a kid. Pretzels? Good. Cookie dough? Good. The two things mixed together, then rolled in sprinkles? So far past good that it approaches perfection. 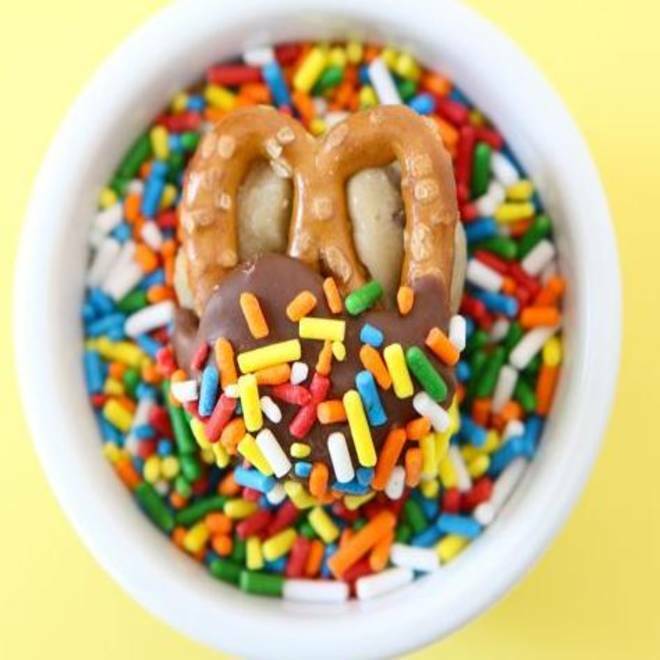 Maria Lichty of Two Peas and Their Pod created these cookie dough pretzel bites as an ode to one of her favorite sweet and salty taste combinations. Eggless chocolate chip cookie dough is sandwiched between two mini pretzels, dipped in chocolate and covered in sprinkles. The only problem with these seems to be that it will be impossible to stop eating them. There is nothing like the sweet, spicy scent of cinnamon buns baking in the oven. Unless, of course, it is the sweet, spicy scent of cinnamon bun cookies baking. Lori Lange, of Recipe Girl, created the perfect hybrid of bun and cookie. The sugar cookie dough is rolled out, sprinkled with cinnamon and sugar, then rolled into a log. It is then sliced, baked, and then topped with a sweet icing. Though Lange admits that her husband snarfed down half a dozen of these before she got a chance to ice them, she swears that the icing really puts these treats over the top. Cinnamon buns better watch out – these cookies are taking over. 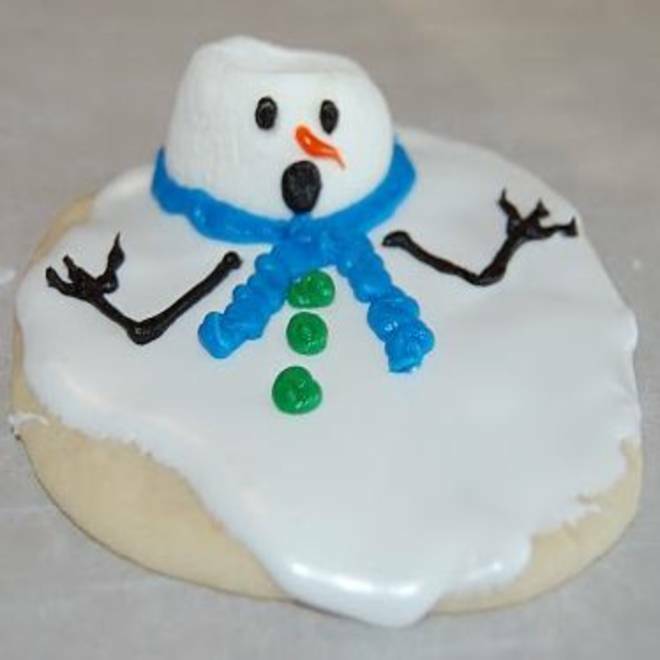 Anyone can make a snowman shaped sugar cookie, then ice it to resemble Frosty. But what about the aftermath of Frosty? For that, you need to visit Stephanie Dulgarian’s blog, Somewhat Simple. She makes melted snowman cookies that look like a half melted snowman, and makes it easy on the home cook by using many store-bought ingredients. She bakes the cookies and tops them with marshmallows. She decorates the marshmallow like a face and ices the cookie in white, so it looks like the snowman’s head is sitting atop his rapidly melting body. Oreos are delicious any time of year, but why pull out a store-bought one when you can make them yourself? 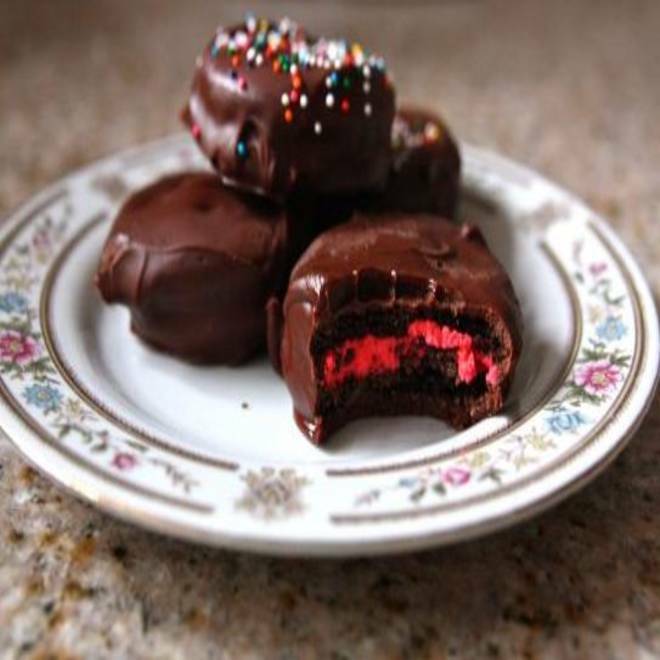 Jenna Weber, of Eat, Live, Run, makes homemade Oreos with a peppermint flavored cream, colors the cream a festive red, then dips the whole thing in glossy melted chocolate. The result is unlike anything that can be found in a box. The cookies are thin and crispy, the cream is minty and the chocolate coating just adds another layer of decadence to what can only be described as an awesome treat. This time of year, it’s good to ask yourself the important questions. What is a cookie within a cookie? It could only be cookie-ception, which is just what Picky Palate created. This recipe actually stuffs an Oreo inside of chocolate chip cookie dough before it is baked, resulting in doughy, chocolate-flecked cookie dough surrounding crispy chocolate wafers and a thin smear of that sugar crème filling. Though Picky Palate suggests you let the cookies cool before you eat them, no one will tell if you start eating them right out of the oven. 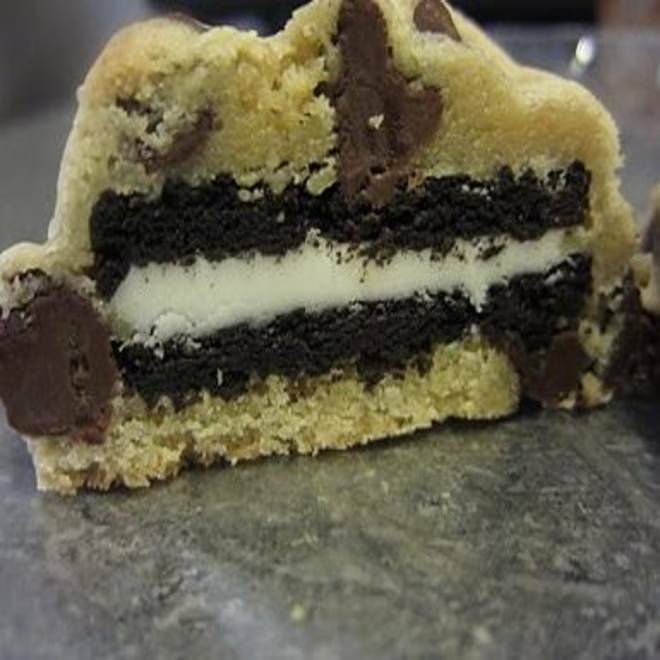 And then there will be a cookie inside of a cookie inside of you — the cookie-ception just continues. For more from Sarah Spigelman, check out Fritos and Foie Gras. What happens to unsold holiday candy (and how long can you eat it)?